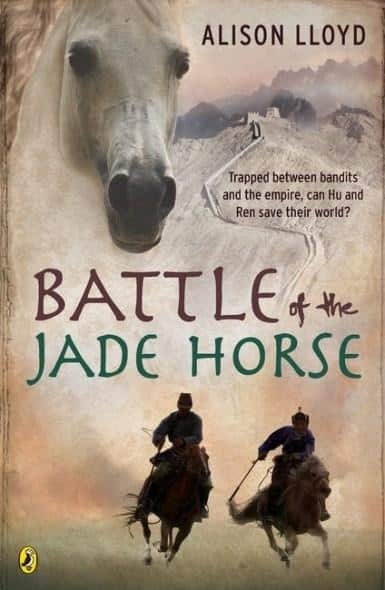 Battle of the Jade Horse is the story of two boys in China’s far north-west. Bandits attack the Emperor’s officials. Friends Ren and Hu are pulled onto opposing sides of the battle. It’s a fast-paced adventure ‑ the conflict escalates; each of the boys, and their friendship, struggles to survive. 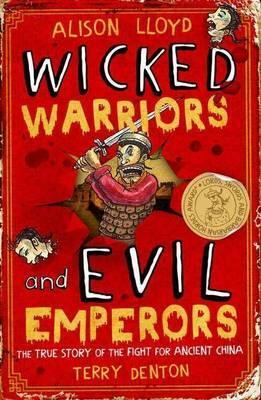 If you like books about horses, swords, bows and arrows, history, or friends, give this one a go. Battle of the Jade Horse follows on from my first book, but you don’t have to read Year of the Tiger to know what’s going on. I always loved creative writing as a girl, but I stopped when I left school. Years later I was thinking about a change in career, so I did a writing and editing course. I thought that I’d write government reports or something official. 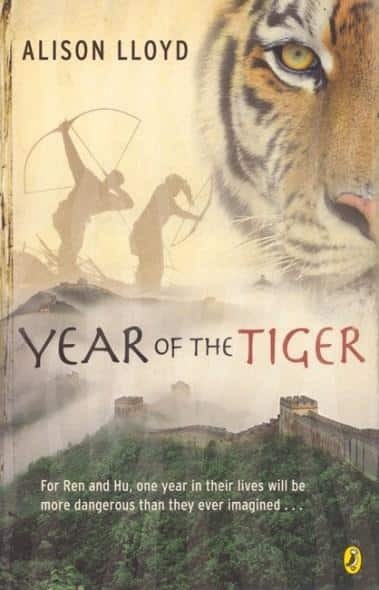 But just for fun I took a ‘writing for children’ subject, and started dreaming about two boys on the Great Wall of China… That became Year of the Tiger, which was published in 2008. Wake up with a brilliant idea; write instant bestseller by lunchtime; take the rest of the year off. Ah, not really. Most days are a mix of emails, phonecalls, housework, family, writing and re-writing. A laptop on a desk in front of a window, with papers in sorted piles. The window looks out on a veggie patch and a trampoline. Sometimes our rooster peers in at the window to make sure I’m working. Do it! Read and write lots. Yes, it takes more effort than watching TV, but the rewards are greater too. You have to be able to read and write to make the most of modern life, so you may as well get good at it. It’s impossible to name only one character, so here goes with just a few: Aslan (from the Narnia books), Pooh bear, Hagrid, all the hobbits, the wimpy kid, the wizard of Earthsea; and on the antagonists’ side there’s Snape, Uriah Heep (from David Copperfield), Rhett Butler (Gone with the Wind), the Lord of the Rings and his Ring wraiths. 7. If you were not a creator of books for young people, what would you be? I might still be working for the Australian Government, like I used to. But I would like to have a go at being a librarian, or an archaeologist. 8. What is your favourite food to eat and/or your favourite music to listen to while you are working on your books? I am nutty – nuts are my favourite snack. But I make myself write a certain amount before I let myself get something to eat. I don’t listen to music – I like music a lot but it’s too distracting while I’m writing. When I write fiction, the characters are made up. But they are made up out of my head, which means there are bits of me and many people I know in them. For example, Letty from the Our Australian Girl series likes lace and fabrics, and I do too. Unlike me, she adores her beautiful big sister ‑ I never had one. I think even if authors have never been in their character’s situation, we must have felt their feelings. That is such a hard question. Seriously. If I said ‘free chocolate for everyone’, we’d all get fat and have holes in our teeth. If I said ‘no more bushfires ever’ we’d have to chop down all our trees. Or if I said ‘abolish death’ there wouldn’t be enough room for us all. There are many big, sad things in the world; but I am not God and I haven’t got an answer to that question. Thanks Alison! You can also find out more about Alison at her website here. 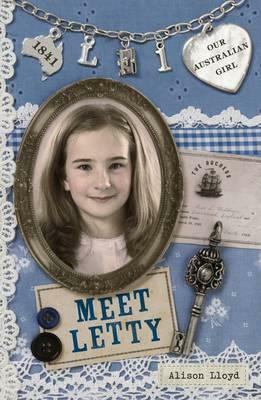 There are now four books in the ‘Meet Letty: Our Australian Girl’ series. This is number one.